In order to deal with a jealous partner and keep your relationship healthy, strong and on track, it’s important to figure out exactly what’s causing these feelings of jealousy in the first place and what you both can do to put an end to these sentiments once and for all. Causes you’re aware of. If your partner is acting jealous, the reasons may be right in front of you. It’s important to try looking at the situation more broadly in order to understand what’s setting off your mate’s feelings in the first place. The initial question you should ask yourself is if you’re inadvertently doing, saying or acting in a way that’s causing your partner to switch into jealousy mode. For instance, you might not even realize how often you comment about the hotness of certain actresses. Or maybe you don’t even recognize the number of times you reference your ex in daily conversations. While these actions may be completely benign and you certainly aren’t doing them maliciously, they may be causing your partner a good deal of pain. But by being conscious of the behaviors that are causing your girlfriend or boyfriend to unleash the green monster and by taking responsibility for these actions, you can make modifications to your behavior going forward with respect to your partner’s feelings. It’s time to turn off those comments about Kaley Cuoco when you’re watching “The Big Bang Theory” unless you want a big argument. There’s no need to remind your boyfriend that your ex used to wear the same cologne unless you want to stink things up. When it comes to quelling jealousy, these small changes can make a big impact. Causes you’re not aware of. There’s also the possibility that you have no clue as to what’s causing your partner to flip out in a jealous rage. In these cases, communication plays a major role in dealing with these hidden sources of jealousy. Perhaps your partner is digging up old feelings from a past relationship that’s causing her to worry about your behavior when you’re at a bachelor party in Las Vegas. Or maybe your partner is dealing with deeper issues regarding his own relationship with his family when he sees how close you are with yours. 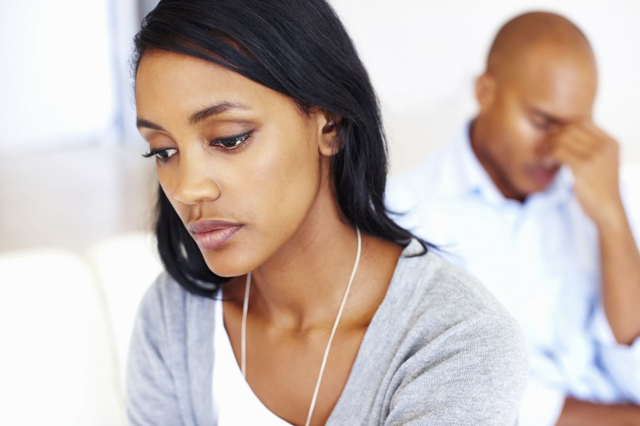 Whatever the issue(s) may be, talking openly and honestly with your partner about the real causes behind these spurts of jealousy is imperative in dealing with and moving past these kinds of negative emotions. You and your partner can work together to hash out these fears and concerns and help lighten the load of the baggage he or she is carrying. By working together as a couple, you can make these less-obvious sources of jealousy obsolete. When it’s a lost cause. However, there comes a point when dealing with a jealous partner ends up destroying your relationship. After all, relationships are founded on trust and respect, and jealousy hammers away piece by piece of what you’re building together. If your partner is consistently finding new issues that are causing him or her to become jealous or is constantly accusing you of certain things that aren’t there, your partner’s jealous insecurities will sink your relationship. Further, if your partner’s jealous emotions lead him or her to read your emails, texts and/or control you in any way, such as telling you who you can and can’t hang out with, where you’re allowed to go or even what you can wear, this is not a relationship worth saving. Who could also forget on “Friends” when Ross’ wife Emily forbade him from seeing Rachel? (It’s tough to be Ross!) If jealousy is preventing your partner from trusting you wholeheartedly, find someone else who’s worthy of your trust and your heart.